On June 27, 2014, DB Schenker announced the successful move of a 154-metric tonne waste heat boiler to Edmonton International Airport (EIA) for its customer, Agrium Inc. The waste heat boiler is a vital component used in the production of nitrogen fertilizer destined for Agrium’s Fertilizer Operations in Redwater, Alberta, approximately 52 km north of Edmonton. 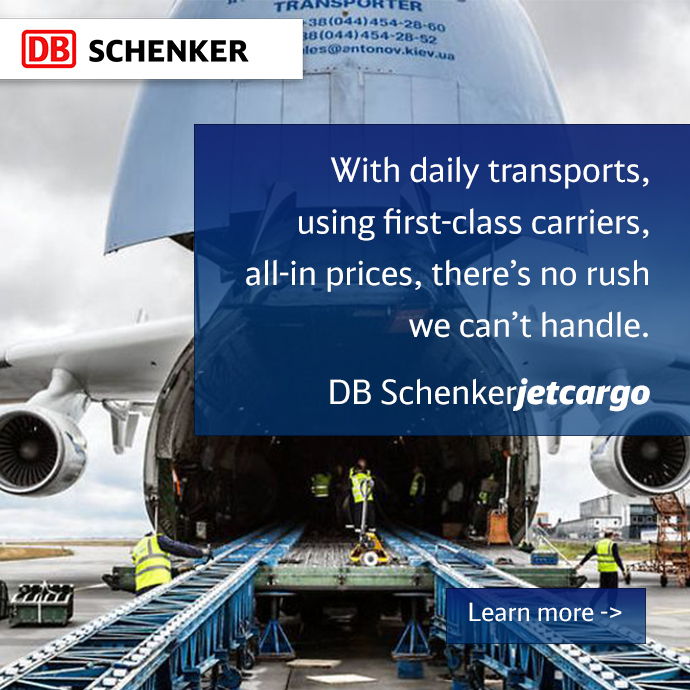 Schenker of Canada Limited’s Projects Division arranged for all segments of the delivery originating from Berlin, Germany including barge, truck, and final arrival at Edmonton International Airport via the Antonov AN-225. From there, the cargo will be carried by over-sized trailer to the Agrium Redwater plant. Originally designed to carry the Soviet Union’s space shuttle, the Antonov AN-225 is the only example of this Ukrainian aircraft ever built. The AN-225 is two-and-a-half times as long as a 737 and can lift more than the equivalent of three fully-loaded 737s or 45 African elephants or seven humpback whales in its cargo hold. Eric Dewey, CEO Schenker of Canada Limited being interviewed by media at Edmonton International Airport.